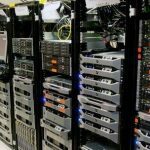 Colocation America offers tailored dedicated server specials that will help you reduce upfront costs while providing you with the room to comfortably expand and grow your business. All of our servers are hosted in one of our carrier-neutral Los Angeles data centers, with unparalleled connectivity speeds and high-level security systems in place, including DDoS Protection. Colocation America strives to understand your purpose for a server and ensure our clients stay online and profitable 100% of the time. Our single processor server selection offer the perfect blend of cost, speed, and power. For the multi-tasker, our dual processor dedicated server packages can handle any task. In business performance trumps everything. Our performance servers get the job done. There nothing our storage servers can’t hold. Perfect for larger businesses. Want to learn more? We’re close by, let’s talk. When acquiring a dedicated hosting service from a respectable provider, the server will be located in a secure location in a well-managed data center. This is much better than running the server in-house for obvious reasons. Data centers provide optimal conditions for the servers to run at maximum performance, under safe surveillance. Additionally, running a server in the office requires a high level of technical skills that are usually outsourced or hired, costing a lot of money. It’s the safest option available right now for someone who needs their data to be protected. The only person with access to your server is the customer unless the customer pays for someone else to manage it. Simply put, dedicated servers are the only viable option for companies and individuals who cannot afford to have others intrude on their data. Our dedicated offerings are designed to meet your specific business’ requirements for performance, connectivity, scalability, and reliability. Build your own custom server or start with one of our pre-made packages built for your specific business needs. Have the option of choosing any Operating System paired with any compatible software needed to run your business-critical hardware and start growing your business today. Whether you need Linux or Windows, we have you covered. Plus, enjoy RAM and hard drive upgrades at a fraction of the cost. For providers of Voice over IP (VoIP) services, it’s all about clear and crisp calls. At Colocation America, our VoIP servers are built to offer the best possible end-user experience even when there are 1000s of other calls happening at the same time. It is a prevalent fact that individuals devote time and effort gathering data and then discovering methods to keep it. As an example of this fact, we begin with the simplest degree of computing. Say for example you happen to be downloading and saving files like videos, new music, and images. You would keep these files inside your hard disk. But, if you find that there is no longer space for new files and you simply do not wish to get rid of one of your older data files, what now? You pay for a hard drive with more space for activities, naturally. The more files you accumulate, the more room you will need. There are different approaches to saving data files. A lot of people spend money on large-capacity hard disks or USB devices whilst some move their data files onto a disk. Firms get a hold of the best-dedicated servers to provide their whole computer network with sufficient hardware. But there exists another option, these days some are opting for a developing trend for their server hosting needs. The cloud, as most individuals like to call it, is really a metaphor for what people think the Internet is. You’ve probably used Cloud hosting services without realizing, like signing on web-based electronic mail, i.e. Gmail, Hotmail, Yahoo Mail, or uploading popular music, movies and images on the net. The Cloud has numerous applications in addition to providing businesses with virtual servers online. Cloud hosting is the newest addition in the hosting industry and offers a variety of benefits but can it compare to VPS hosting or even traditional shared and dedicated server hosting? Let’s find out. Major enterprises today choose the traditional route of colocation and dedicated server hosting. Smaller businesses have opted for shared hosting as a less expensive alternative. In dedicated server web hosting, an entire hosting server serves only a single client. The enterprise will pay for the total package, a hosting server(s) using a dedicated amount of drive space, bandwidth, and computer resources. With dedicated web hosting, enterprises get full control over their hosting server without having to split the server resources with other businesses. The downside is that it can be very costly particularly with equipment upgrades and routine maintenance. Leasing a server is a great way to save on cost, as a business can avoid the expense of purchasing a dedicated server while still having the option of upgrading the server if their business demands it.